The government has a secret system. A machine. It spies on you every hour of every day. I know because I built it. I designed the machine to detect acts of terror, but it sees everything. Violent crimes involving ordinary people. People like you. Crimes the government considered irrelevant. They wouldn't act so I decided I would. But I needed a partner. Someone with the skills to intervene. Hunted by the authorities, we work in secret. You will never find us. But victim or perpetrator, if your number's up, we’ll find you." 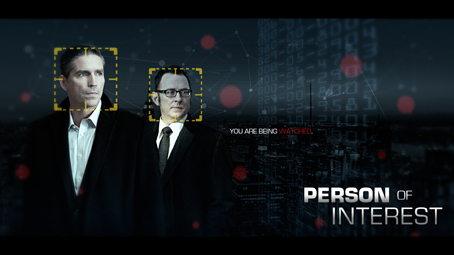 This is the opening of Person of Interest, an American drama television series broadcasting at CBS. It was launched in 2011 and now it's about to start its fourth season. But why am I talking about a TV series in a website specialized in CCTV? Because of the very sophisticated surveillance system this series is based on. Worried about new terrorist attacks in New York that could happen after September / 11, American government hired a software specialist to develop a computer program capable to predict the identity of people related to violent crimes – including terrorist attacks – that could happen in a near future. Daily, this program generates a list of SSNs (Social Security Numbers) of these people. But it can't determine if the person will be a victim or perpetrator, not even when or where the crime will happen. Besides that, American government is only interested in suspects of terrorist attacks, ignoring other numbers. Annoyed by knowing that innocent people could be saved from crimes if he takes care of the other numbers, the program's creator implemented a backdoor software that copies these numbers to him. Incapable of taking care of these crimes alone, he hired a former Green Beret and CIA operative to help him to intervene as needed. Crossing and internally processing all these information, the system is able to know where every tracked person had been and with whom he related to. If it founds any suspect behavior involving this person, his number is put on the list. The most brilliant part of this system is that it does everything without invading people's privacy, as its only output is this list of SSNs; there is no video monitor attached to it, no report at any kind is emitted, no recorded video can be extracted from it, nothing that could compromise no person or could be used against someone. Resuming, it doesn't permit any "human access" to collected data. That's why I recommend watching this series; because it put us to think. But, to not compromise your fully understanding, I suggest you to start from the first episode of first session.